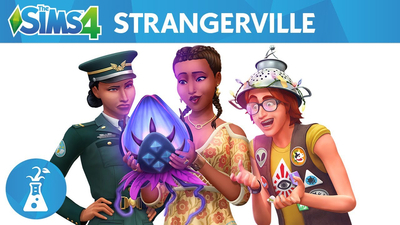 Explore StrangerVille, a rural desert town shrouded in secrecy. Encounter weird weather, creepy townies, dangerous plants, odd collectibles, and more. Immerse your Sim in unique and mysterious events. Unmarked vans appear in neighborhoods, government agents use secret listening devices, and scanners are key in detecting the unusual. Have your Sims investigate using their Military training, searching for clues to solve a mystery that lies within the secret lab. 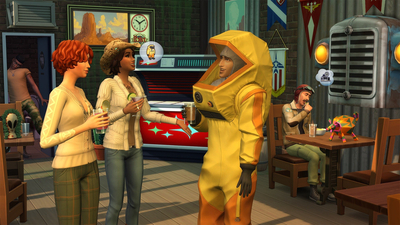 Get Sims in the mystery-solving mood by gearing them up in desert-inspired clothing and military fatigues, or prepare them for the end with conspiracy-themed clothes, secret agent attire, and a hazmat suit. 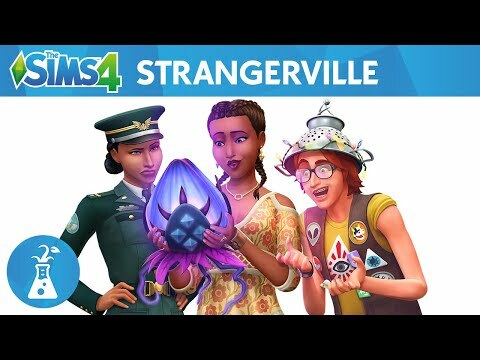 Thanks to StrangerVille, The Sims 4 are getting out of their comfort zone in favor of a pleasantly surprising originality. Its news world is well-made and full of charm, and its investigation is basic but pleasant. All of it makes of StrangerVille one of the most pleasant Sims' DLC in a long time. However, its story is rather short but counterbalanced by its singular setting. A rich pack in its own way, that keeps all its promises and is sold half as much as a classic extension.